“Medals are my favourite form of expression,” Dora de Pédery-Hunt once said. “They are like short poems.” You may not know who Dora de Pédery-Hunt is, but chances are, at one time or another or even now, you have an example of her work in your possession. 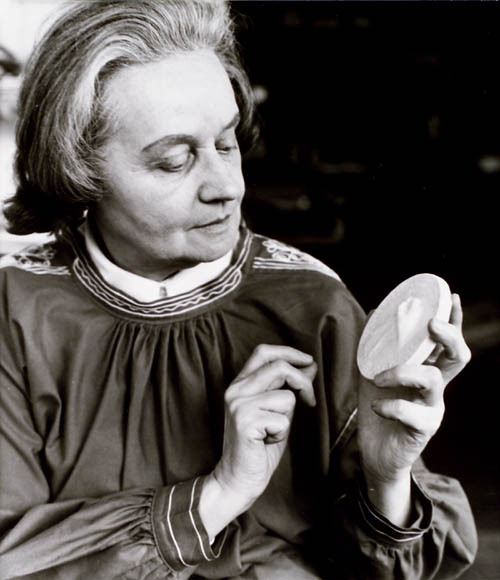 Dora de Pédery-Hunt (1913–2008), was a Hungarian-born sculptor and medalist. After graduating with a master’s diploma in sculpture from the Royal Academy of Applied Arts in Budapest in 1943, she came to Canada by way of Germany in 1948. In Hungary, she had studied bronze and plaster casting along with stone and wood carving. After arriving in Canada, however, her need for regular work to support herself and her family was paramount. Setting aside her artistic aspirations for a short while, Dora took work as a housekeeper. In due time, Dora was introduced to sculptors Frances Loring and Florence Wyle (often called the first women of Canadian sculpture) by her Canadian immigration sponsor Major Thomas S. Chutter. Realizing her talent, Loring and Wyle helped Dora acquire a job teaching sculpture. Now free to devote most of her time to her art, Dora de Pédery-Hunt flourished. Throughout the 1950s Dora received several private and public commissions. An entry Dora placed in the Canadian National Exhibition show caught the eye of Alan Jarvis, then director of the National Gallery of Canada. Through his support, Dora obtained a grant from the Canada Council enabling her to study and hone her talents in Europe for the next six months. Upon returning to Canada, Dora used the experience she gained abroad to begin working on larger scale projects, creating religious iconography such as ornate tabernacles and Stations of the Cross. 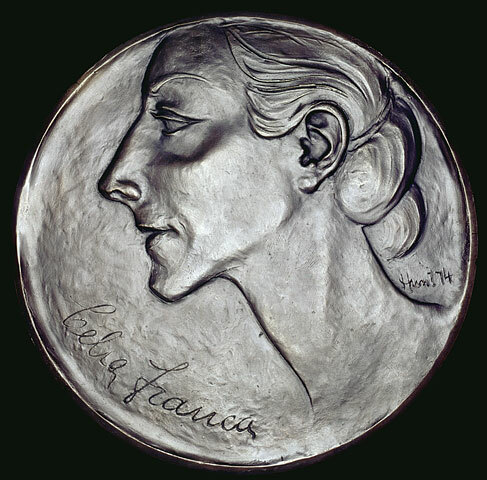 At the same time, she continued to create smaller objects including many commemorative, award and portrait medals. © The Royal Trust Company. Reproduced with the permission of The Royal Trust Company. From teaching at a small vocational college, Dora would eventually become a faculty member of the Ontario College of Art. Throughout her industrious career she received several national and international awards and accolades including the Order of Canada. 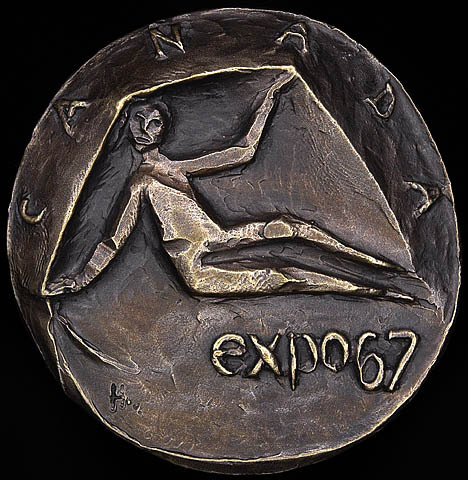 Commemorative medal of Montreal’s Expo 67 (MIKAN 2834429). And what about that example of Dora de Pédery-Hunt’s artwork you most probably have in your possession? That would be the profile of Queen Elizabeth II minted on late 20th century Canadian coins. 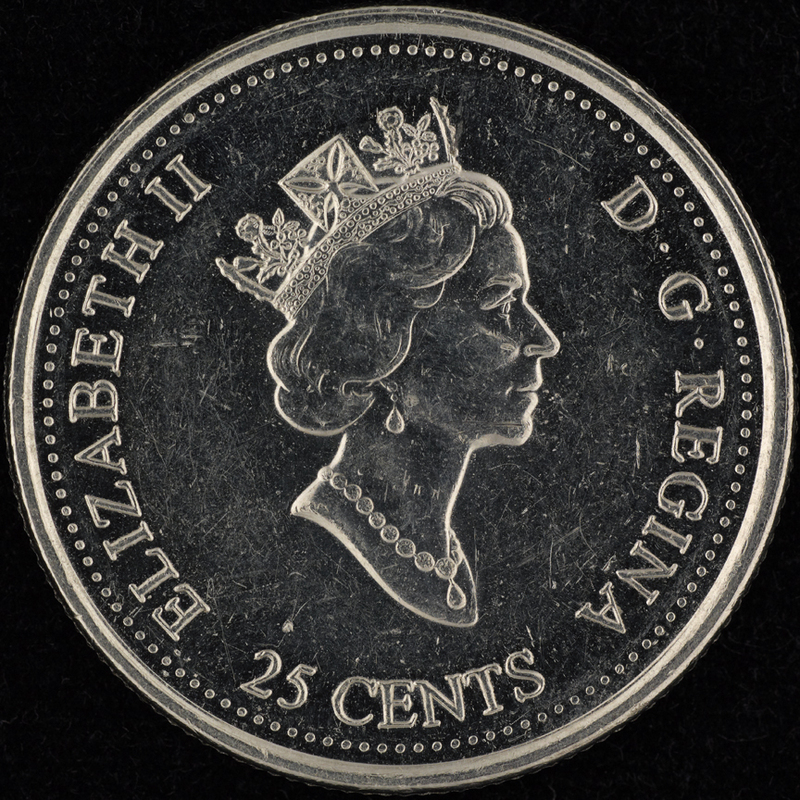 Profile of Queen Elizabeth II on a Canadian quarter. Explore the Dora de Pédery-Hunt fonds. 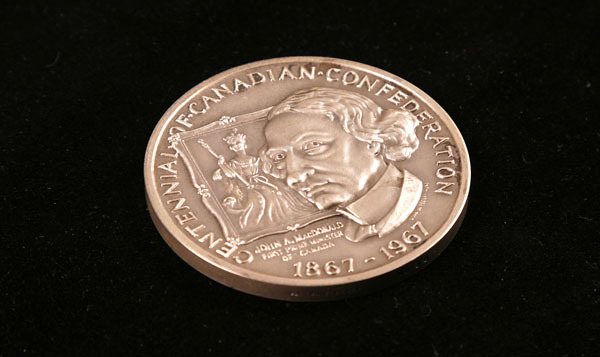 This entry was posted in Art, Our Collection and Facilities and tagged Dora de Pédery-Hunt, Medals, money, sculpture by Library and Archives Canada Blog. Bookmark the permalink.